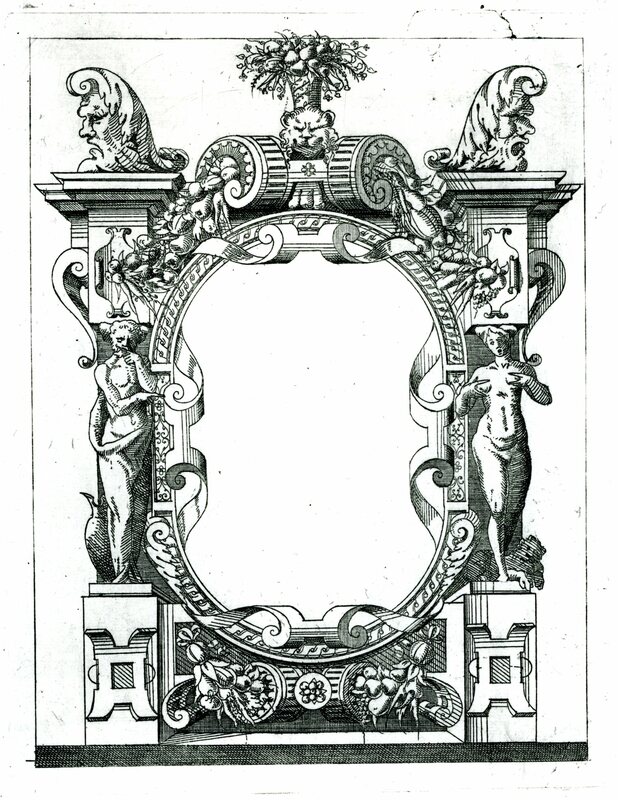 Etching by Antonio Fantuzzi, 43 x 28.1 S (Paris). Inscribed with a monogram (Fantuzzi’s?) at the lower right: FA ? Herbet, II, 1896, 273 (1969, 69), 17, and V, 1902, 81 (1969, 233), as Fantuzzi. Zerner, 1969, A.F.78, as 1544-1545. Kusenberg, 1931, 166, as in the style of Rosso and perhaps after a lost decoration at Fontainebleau. Zerner, in EdF, 1972, 273, no. 327, 274, Fig., as perhaps Fantuzzi’s invention. Béguin and Pressouyre, 1972, 141. Béguin, 1989, 831, and Fig. 22, as related to a lost decoration of the East Wall of the Gallery of Francis I.
Brugerolles and Guillet, 1994, 44, under no. 16. 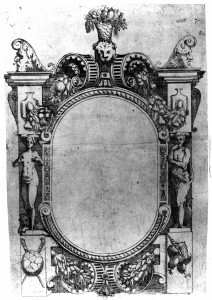 As indicated in the catalogue entry for the Gallery of Francis I (P.22, East Wall), this etching would seem to be dependent on a lost drawing by Rosso for the center section of the east end of that room. 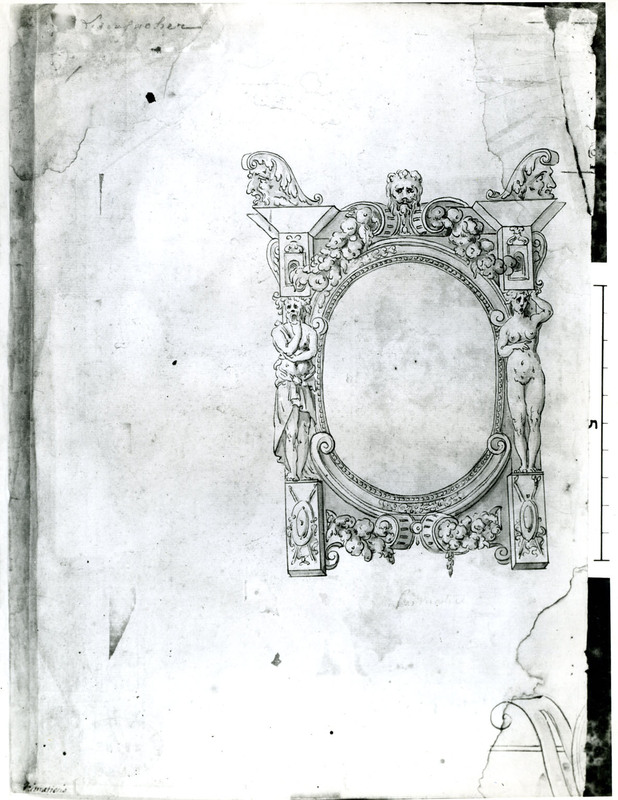 Given the evidence of a copy of another lost drawing in Ensba in Paris (Fig.D.57), the etching would seem to be in reverse of the lost image. COPY, PRINT: E.57,11. Du Cerceau, etching (Fig.E.57,11). Herbet, IV, 1900, 307 (1969, 157), VI (Petits Cartouches), 28. 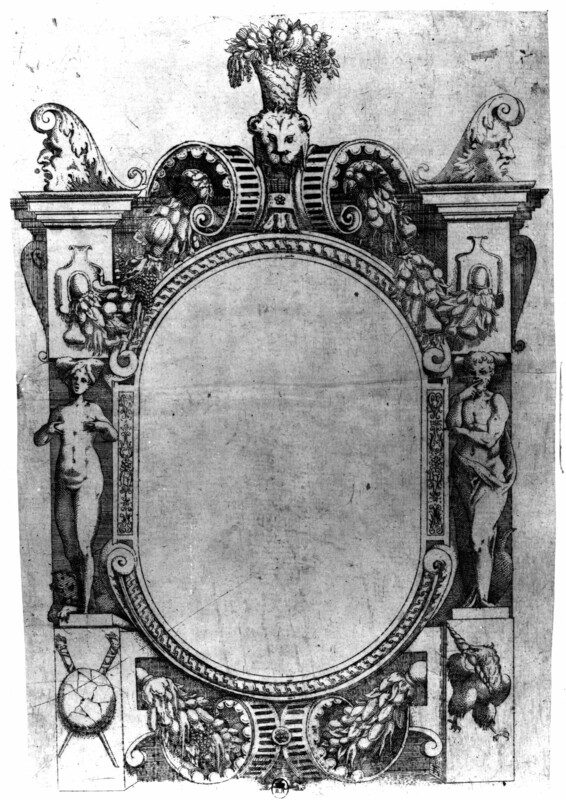 Copy in reverse of Fantuzzi’s print, with variations.